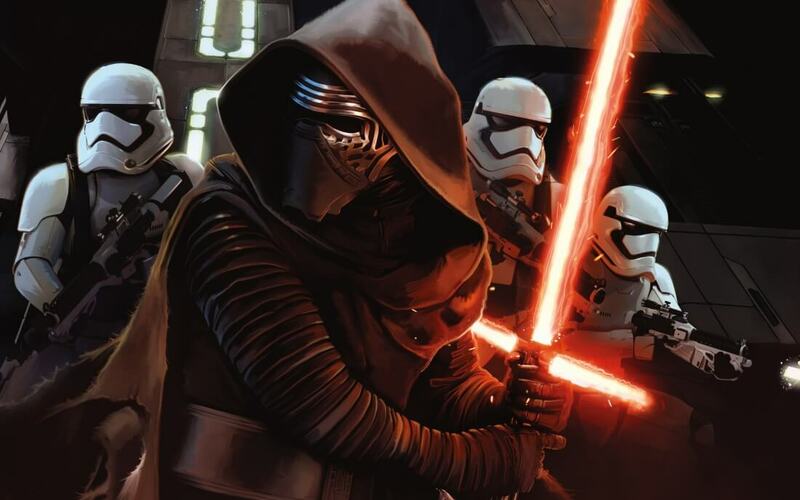 Star Wars: The Force Awakens is officially set to be released on Blu-ray in early April, but as is usually the case for major film releases, a copy has been leaked to several pirate sites a few weeks in advance. Unsurprisingly, the release to pirate sites has led to a massive deluge of downloads over the past 24 hours. According to data from TorrentFreak, users already downloaded the film over 250,000 times within the first 12 hours, and undoubtedly more people have downloaded it since then. The Blu-ray copy released ahead of schedule is not low quality either, which is sure to annoy Disney and Lucasfilm. It's essentially just a regular retail copy that found its way into the hands of release group "Replica" before its launch date of April 5th, as proven by a photo of the disc that's required by the rules of the pirating 'scene'. While the Blu-ray copy of The Force Awakens has now leaked, it's not the first copy of the movie to hit pirate sites. Since the film hit the cinemas, crappy 'cam' copies have been available thanks to people who filmed the screen in the theater, although their low quality typically discourages most people from clicking download. With more than 150,000 people currently leeching The Force Awakens through just a handful of torrents, there's a good chance this pirated copy will cannibalize some sales of the Blu-ray. Any extras included with the Blu-ray copy don't appear to have leaked, but often the film itself is all that people really want to watch from the comfort of their couch.